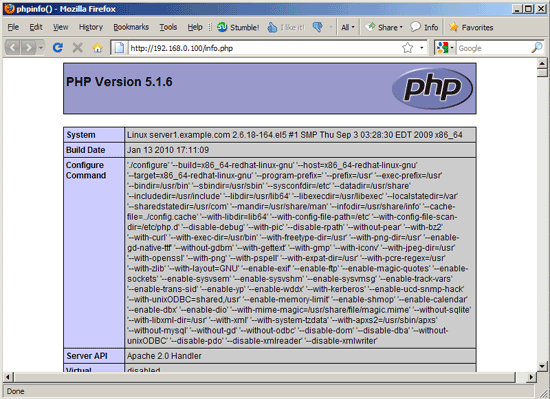 This tutorial shows how to harden PHP5 with Suhosin on a CentOS 5.4 server. From the Suhosin project page: "Suhosin is an advanced protection system for PHP installations that was designed to protect servers and users from known and unknown flaws in PHP applications and the PHP core. Suhosin comes in two independent parts, that can be used separately or in combination. The first part is a small patch against the PHP core, that implements a few low-level protections against bufferoverflows or format string vulnerabilities and the second part is a powerful PHP extension that implements all the other protections." I have tested this on a CentOS 5.4 server with the IP address 192.168.0.100. I will install both Suhosin parts in this tutorial, the Suhosin patch (for which we need to recompile PHP5) and the Suhosin PHP extension. To see what Suhosin can do, please refer to http://www.hardened-php.net/suhosin/a_feature_list.html. The features of the Suhosin patch are listed under Engine Protection (only with patch); all the other features come with the Suhosin extension. Unless you have already created virtual hosts in your Apache installation, the document root of the default web site is /var/www/html. 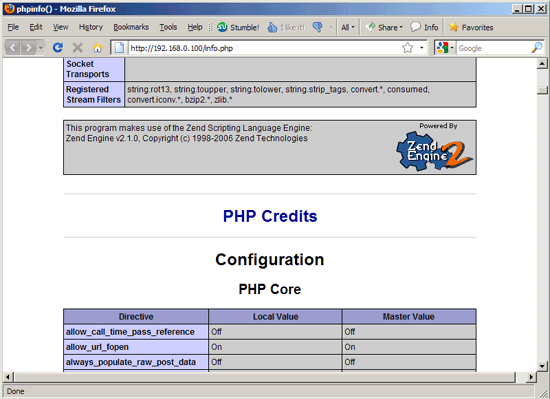 We will now create a small PHP file (info.php) in that directory (if you have created virtual hosts, place it in any of the virtual hosts that has PHP enabled) and call it in a browser. The file will display lots of useful details about our PHP installation, such as the installed PHP version. As you see, our PHP version is 5.1.6, and Suhosin is not mentioned anywhere on that page which means it is not installed. This tutorial works also for perfect server fedora 12 with just a few little adjustments. If I can do this, everybody can do this !